My Primary One teacher suggested that I could use my gardening interest to raise money for the Rainbow Centre for children with special needs. 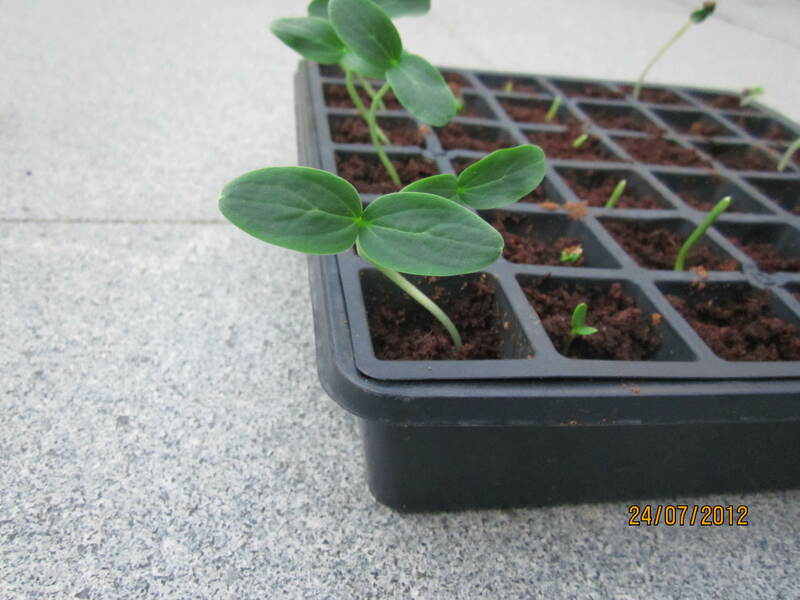 Since I love to germinate seedlings, and I have a lot of seeds, I am now offering seedlings for sale at $1 per cup (1 or 2 seedlings per cup, depending on Mummy’s mood). I will offer a senior citizen’s (over 90 years old) discount of 50%. Cucumber from the Paid Gardener, fast growing! It germinated in a day. Here they are lined up like little soldiers. I also have red okra, green okra, red aztec corn and millionaire sunflower seedlings from Thailand. I will also germinate on request from my seed stash! 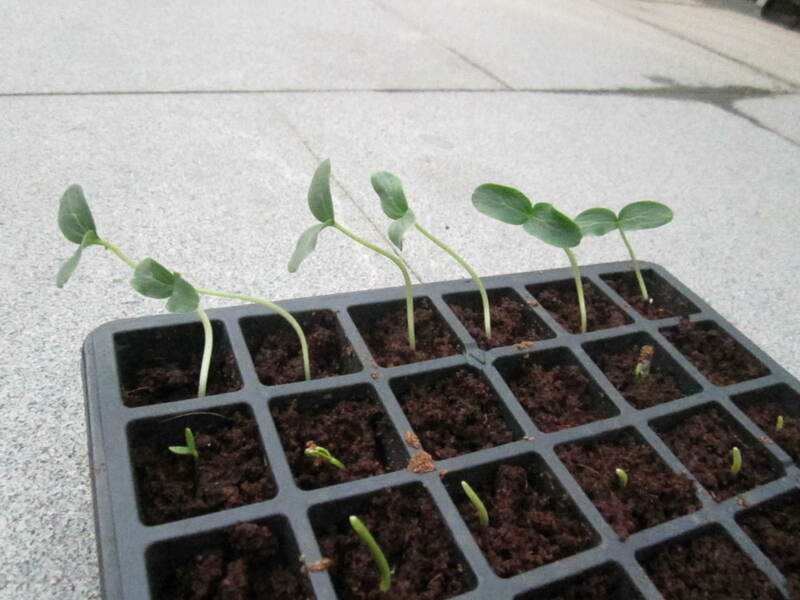 I am NOT responsible for how well you manage to grow your seedlings. It’s your problem once they leave my garden, ok? No refunds or replacements will be given. Mummy says this is a disclaimer of liability.So I must put it in bold.